NALSAR Lecture Series on Constitutionalism hosted Professor MP Singh, who is best known as the revising author of V.N. Shukla's textbook on Constitutional Law. He has worked extensively on German Administrative Law. The talk was held on the 3rd of February, 2017 at the R.N. Jhunjhunwala Conference Hall at NALSAR University of Law, Hyderabad. Professor Singh laid the history wide open, and made interesting connections between the present and the past. The Anglo Saxon notion of ‘King’s Peace’, which emerged post the Norman Conquest of England in the 11th century, saw its refined elocution on the public-private divide which was to emerge in the field of law, and capture most legal developments occurring in the nineteenth and twentieth centuries. Two difference courts were set up to adjudicate two different kinds of matters; the Court of Common Pleas was to adjudicate disputes of private nature, whereas the King’s Court was to rule upon any turbulences in the King’s Peace. Professor Singh then went on to explain the development of the doctrine of precedent, which accompanied the transition of privately held local customary beliefs of the land, into the state made law, which was quintessentially public in its pedigree. This was the process through which a “common” law emerged; which was to transcend its territorial limits of the midlands into colonies far and wide. Professor Singh then went to the Eastern Roman Empire, to talk of the “corpus juris civilis,” which was an outcome of codification undertaken by Justinian I, the Emperor. This consolidation gave rise to the concept of “book law,” which was to be administered by the church, until replaced by the modern Westphalian state. It was this Roman Law, later commonly known by the name, Civil Law, which was to become the foundation stone of the German legal system. The emergence of the state as for other reasons, holds much significance for the legal system, the laws, and jurisprudence. It did not take much time for legal philosophers and thinkers to reach the conclusion that the role and functions of the state ought to be governed by some well defined norms and rules. This was achieved by France in its 1789-1799 Revolution, which through its call for Liberty, Equality and Fraternity for all, more or less laid the ground firm for the birth of the Rule of Law. It was in this context, that the idea of State’s responsibility emerged; where not moods, whims or fancies of the rulers governed, but the law. It was this understanding, Professor Singh asserted that tasked the civil law countries to develop common-law like institutions such as the King’s Court, which were to supervise and review the functioning of the executive. It was paradoxical in a sense that geographically proximate nations such as France and Germany did not adopt English common law structures, which found easy fitment in the distant and far-off colonies such as the United States. This brought Professor to the sometimes loose distinction between public law, and private law. The differences are better captured in the dualist tradition which is more pronounced in the continental Europe than the monist traditions prevailing the day in common law countries. In the latter, there is a single set of courts which administer both, public and private law. Public law, is distinguished on the basis of the involvement of the state as one of the parties in the dispute, which is not the case in disputes involving private law. The idea that the state (without the judiciary) could be reviewed by constitutional courts emerged naturally in course of time. What made the entire process of judicial review more complex and layered was the question whether the courts could also review legislative enactments, as against executive acts. The US Supreme Court in the case of Marbury v. Madison (1803) ruled that legislature in exercise of its powers and performance of its functions was not exempt from judicial review. This expansion was not visible in the motherland of common law, in England. 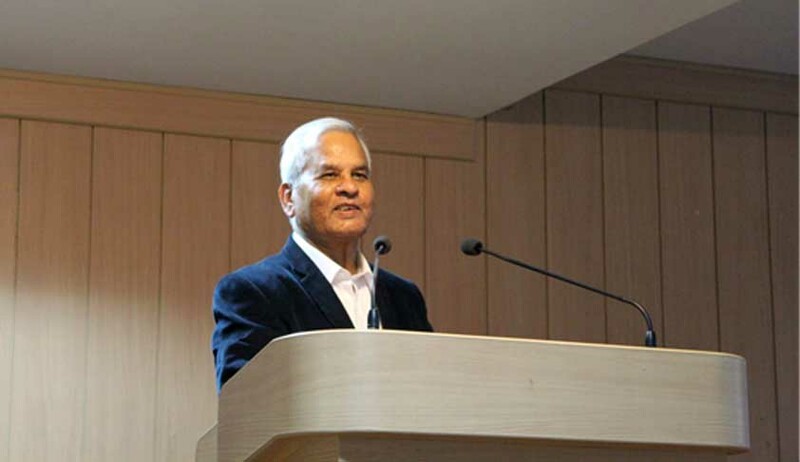 Professor Singh asserted that judicial review is applicable both to executive, and to the legislature; since it sources itself to the constitution, the highest law of the land. This, he said, was not a process ordained under administrative law; but in a constitutionally crafted scheme of affairs. However, the concept did not percolate so easily and so early in Europe. In their 1949 constitution, the Germans for the first time ever introduced the concept of judicial review; relying partly on the background provided by Hans Kelsen’s work with respect to the Austrian Constitution, which provided for a constitutional court. This architecture was not the same as in the States, where there was no such distinction between courts and their jurisdiction. In India, like in the US, there is no separate court per se to review exercise of executive and legislative powers. India did not adopt the German model of having a separate court, for two basic problems. The first was, that in India, most judges are drawn from a pool of advocates, who have a background in litigation. In Europe, judges were career judges who joined at the lowest level, only to reach the highest levels; and thus could not be assumed to have been properly trained and equipped to administer public law. In India, private counsels had a history of putting the State in the dock in writ petitions, and thus had developed an adept sense of public functions. Thus, they were proper to preside over constitutional questions involving state powers. The second was that India, unlike continental Europe (of which Germany is a part) has a well inherited doctrine of precedent. In Germany, thus it was desirable to provide for a special court to administer questions of state policy and power, to avoid confusion and chaos where perhaps, if multiple courts ruled over similar questions, might have produced a terrible terrain of law. Coming to the German model, Professor Singh emphatically remarked that Germany’s Constitutional Court, which is the custodian of the rule of law, and performs judicial review, is the most powerful court in the entire length and breadth of Europe, if not in the world. New countries like South Africa have learnt and adopted from its practices to a great extent. The Constitutional Court of Germany is a twin court, divided into two distinct seats, called senates. Each senate has eight judges, taking the total strength of the court to sixteen. While the first Senate decided on public law matters (which involve the State), the second Senate decides on individual oriented rights. Both the senates are separate and distinct. The judges constituting the senate hold the office for a non-extendable tenure of twelve years and are not transferable. The half of the strength is constituted by university professors and academics. The cases admitted need not be in the traditional form where there must be a plaintiff and a respondent, as is the case with Public Interest Litigation (PIL) petitions in India. However, the court has evolved a practice to assure itself through the government’s representative of compliance before deciding to proceed with a matter. In France, there is a Constitutional Council composed of a total of nine judges where three are nominated by the President, while the rest six are appointed in equal measure by the Upper House and the Lower House of the National Assembly. Most nominations and appointments are of senior, non-controversial respectable politicians and public servants. The jurisdiction is exercised by the government’s reference with no amenability to private citizens. However, a serious limitation on the court’s exercise of jurisdiction is that it may only adjudicate upon the constitutionality of a proposed law, and not of a passed/enacted law. Professor Singh, travelling across continents and traversing across a vibrant diversity and plurality of legal systems, concluded his lecture by refuting the presumption that judges ought to, and do act independently, while reviewing the constitutionality of state actions. He referred to studies which have pointed out, that in the US and in continental Europe have revealed that the exercise of judicial review is preceded by a consideration as to whether the government of the day will actually abide by their ruling, and enforce the same. Public opinion, thus does shapes the exercise of powers by the judiciary. With this, Professor Singh, refuted the claims of those who assert that judicial review is an undemocratic measure of impeding popularly packed legislatures and executives. Thus, the paradox, which Jurgen Habermas saw in the expression “constitutional democracy” is now only in theory, and not in practice, as the analysis of judicial review powers has revealed. The talk concluded with a noteworthy question put forth by NALSAR’s Prof (Dr) Amita Dhanda, who enquired as to the whether Indian law and legal system was truly “common law” in its nature. Professor Singh aptly took recourse to historical considerations and ruled in the negative. He said that the law in England emerged through a process where customary law was recast into the law made by the state through the courts. This process, as Professor Dhanda agreed, never happened in the Indian context. Further, it was also pointed out, as to how India is distinguishable as a case from countries such as Canada and Australia, which were colonies of the British people; whereas India was a huge country of non-British people. Thus, the absorption of local practices into the legal system (which, quintessentially, was the process behind the emergence of a “common” law), never happened in the true sense of the term in India.